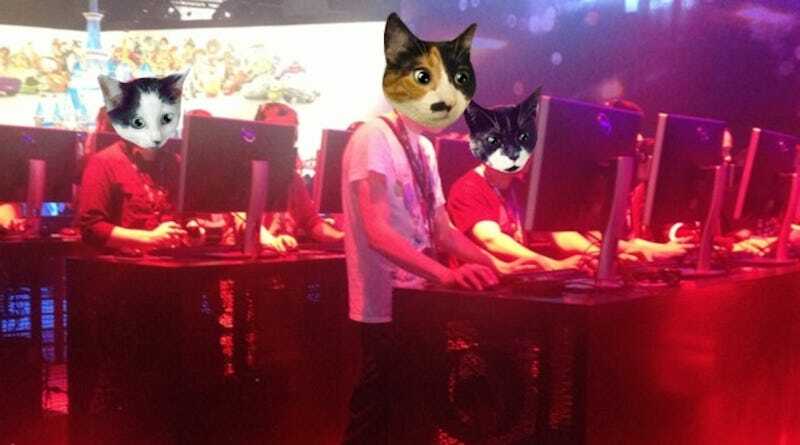 What If There Were Tons Of Cats Roaming E3 And No One Noticed? With the tens of thousands of people that descend on the Los Angeles Convention Center every year for the Electronic Entertainment Expo, it can be easy to miss seeing a few people. But this year was a little different. Cats roamed the showfloor and no one even seemed to notice. Let's look at the evidence, shall we? Ok, actually, I doctored cat heads on these attendees. Shocker, I know. Alex Rubens is a freelance videogame critic based out of Seattle, Washington. He really likes cats. You can talk about cats with him on Twitter at @alexrubens.